CLEAResult partners with utilities and food banks to deliver energy-efficient products directly to customers who lack the means to participate in other utility incentive programs. All of us—utilities, commercial and residential customers, program implementers and trade allies, alike—benefit from energy efficiency. So it’s important that energy-efficient tools and products be made as widely available as possible. That’s why we came up with the Community-Based Distribution Program. We partner with utilities and local food banks to distribute ENERGY STAR® certified LED bulbs and other energy-efficient products to customers who lack the means or awareness to participate in other residential incentive programs. Manufacturers ship products we buy directly to local food banks and pantries. Then customers receive their new energy-efficient products as part of their packages. It’s as simple as it sounds. This program design serves not only as an opportunity to save kilowatt hours and therms, but also as a positive touchpoint with a historically underserved customer segment. The Community-Based Distribution Program is a flexible, turnkey, scalable initiative. 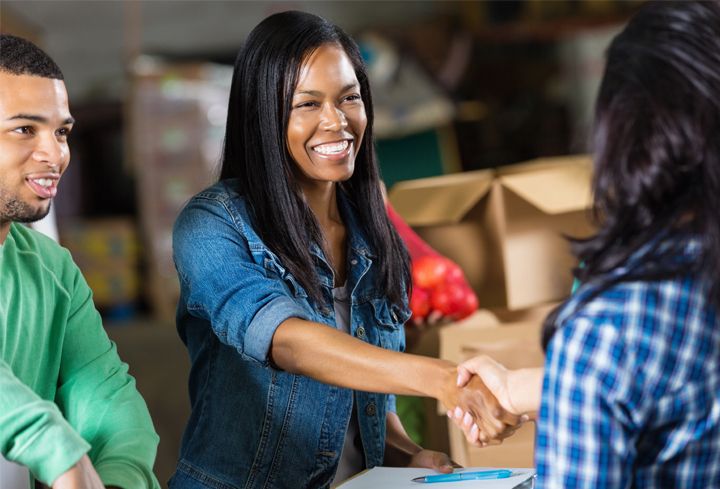 Our long-standing partnerships with local foodbanks ensure efficient and ongoing distribution, and we can size the program to meet your individual needs. This program is not limited to a residential lighting program budget or just light bulbs. Due to the multiple benefits of the program to energy savings and the community there are many ways to fund this program. We will work with you to determine what works best for your service area and the customers who need it most.